If you are in the kratom business or have been using kratom for a long time, then you know that the largest exporter of kratom in the world is Indonesia. There are several reasons why Indonesia is the largest exporter, but the primary reason is the country’s environment and weather conditions, which are perfect in growing healthy kratom trees. In Indonesia, kratom plants grow abundantly and wildly because of the ideal exposure to sunlight, rain, and humidity. As a result, this area is considered to be the best region in producing or growing kratom. Kratom has been grown in this region for the last thousands of years, which means that they have a wide variety of wild crafters and plantations. They have mastered the process of growing, harvesting, and drying kratom. With that said, Indo kratom is considered to be the best kratom available in the market. What are the effects of Indo kratom? Compared to other kratom strains, the traditional kratom strain in Indonesia has unique effects, which make it the favorite of most people. The impact of this kratom strain may vary depending on the colors of its veins, the plant and the season. But there are still common characteristics that you can observe. The most common reason that this strain is prevalent and well-liked is that of its painkilling effects. Like Malaysian kratom strains, the result of Indo strains can also last longer than other kratom strains. The reason behind this can be because of the cell structure of this strain’s leaves or the increased potency of the plant. Kratom users who have been using this strain for relieving pain suggest that the Red Vein Indo strain is the best. You can use the Red Vein Borneo strain as well as it is technically considered an Indo strain. Both can give you excellent effects. However, you need to take note that this strain can give sedating effects, which makes it not suitable for every user. 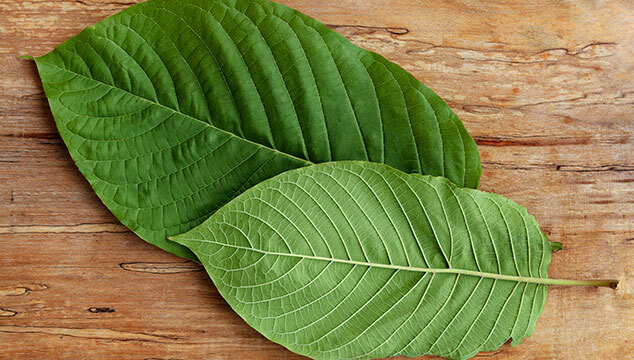 In connection to this, kratom enthusiasts suggest that you use the white or green Indo strains instead as they are less sedating. Like Bali and Borneo strains, this strain is commonly used as a relief for anxiety. The sedating effect combined with the analgesic effect can be beneficial for some people. However, the white vein Indo strains might be too energetic for you if you prefer the analgesic and sedating effect. You can use the red vein strain if you prefer those effects. The most effective kratom strain in boosting mood is the Indo strain as it has a high 7-hydroxymitragynine content. But as mentioned in the previous paragraphs in this article, the best strain for boosting your mood and energy is the white strain. You can also use the Maeng Da or Thai strain as an alternative. Because this strain can boost your mood, it became a source of the desired extract called UEI or Ultra Enhanced Indo. What are the popular types of the Indo strain? Indo is a broad term or a vast area in the kratom world. You must know that different Indo kratom strains growing in the regions of Indonesia have varying effects. This is the Indo strain that is most bought because of its potency. The Super Green Indo is unique as it enables the relaxing and pain killing effects of red vein strain last longer. Moreover, this strain has a little energy boosting effect. You should take note that some green Indo varieties have more sedating effects compared to other strains. The results can also vary depending on the vendor and the plant. Like other red strains, this variety of “evening” Indo is an excellent strain. It is well-known for the powerful analgesic, sedative, and mood-lifting effects. However, this strain cannot boost your energy at all. Some people combine this strain with other strains that have energizing effects to enjoy the benefits of kratom more. This strain of kratom has the most stimulating properties. If you prefer pain-relieving and mood-boosting effects, then you would love this strain. In general, Indo kratom is one of the most famous kratom strains because of several reasons. If you have not tried this strain, it is unique and potent.